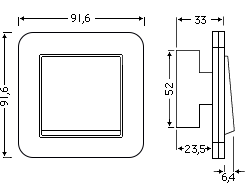 Please make sure you have checked the “Dimensions” section below to see if this product is the right size and shape for your installation. 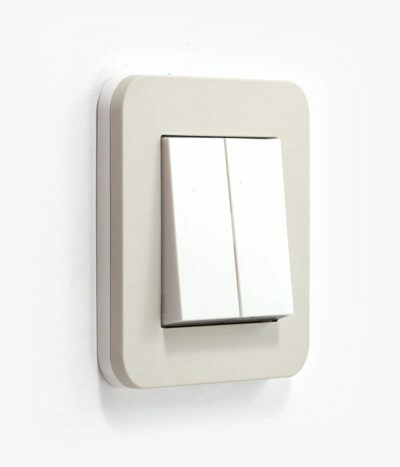 We see the E3 Soft Touch as a personable go-to switch. 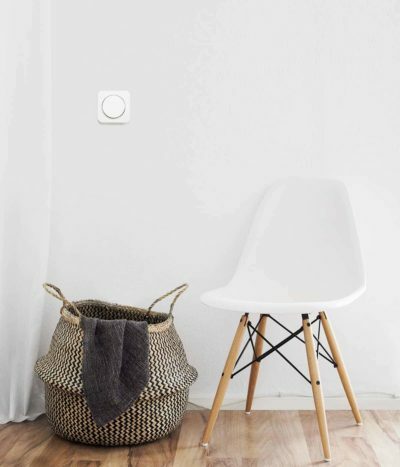 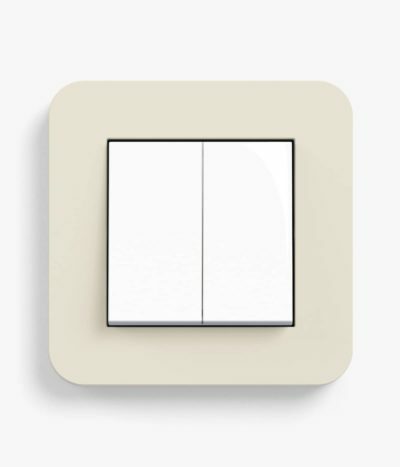 It is a pleasingly symmetrical piece that’s the decorative big sister of the more basic incarnation – white, sharp-edged, gloss – found alone or stacked on walls in Scandinavian homes to operate much-needed overhead and tasked lighting during the long, dark winters. 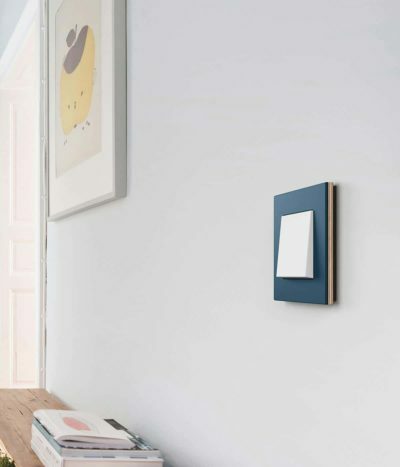 But in UK homes, its size and shape alone will stand to make a difference, making its multiple colour options, soft corners and subtle matt look and feel a bonus. 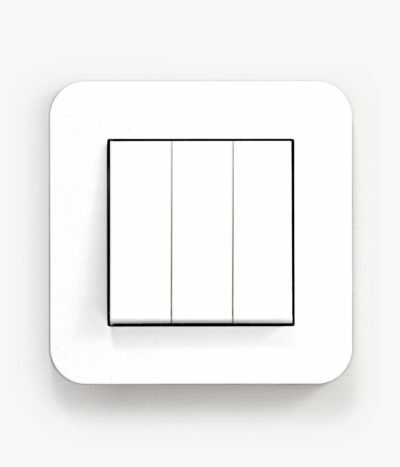 With its E3 switch range, Gira delivers a whole new design language and a unique palette that subtly radiates harmony and relaxation. 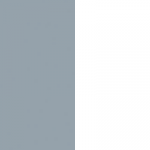 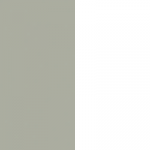 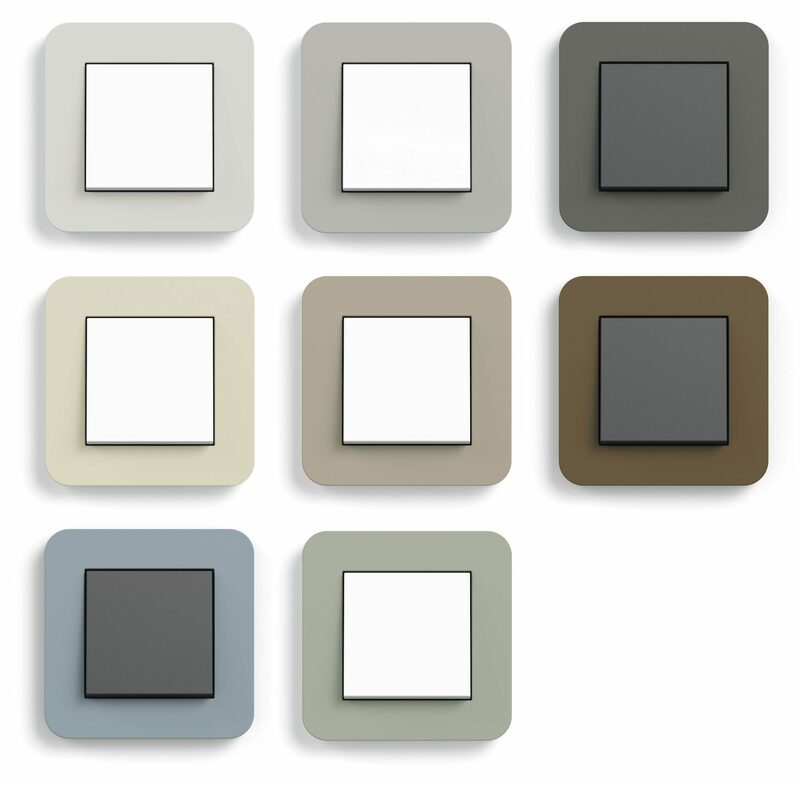 In collaboration with the NCS colour system, a collection of warm greys and soft browns has been developed specifically for this line. 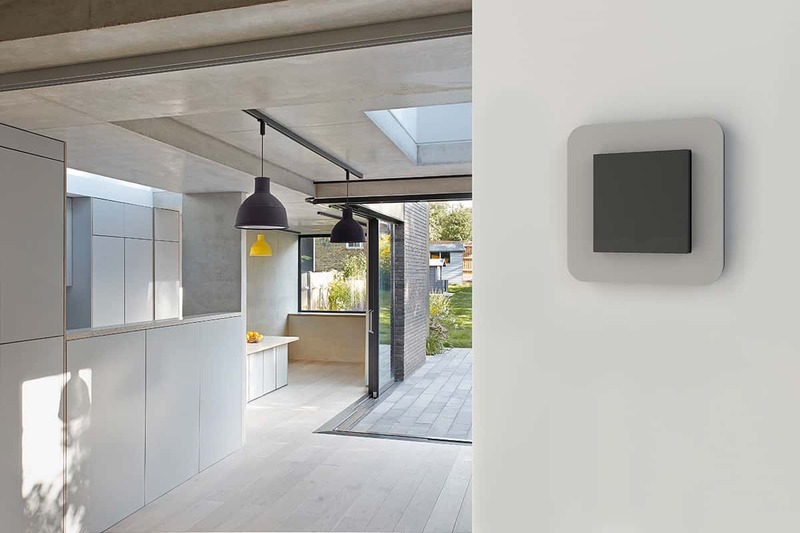 Combined with its gentle contours and tactile satin surfaces, the brand has successfully given modern building technology a warm, contemporary look. 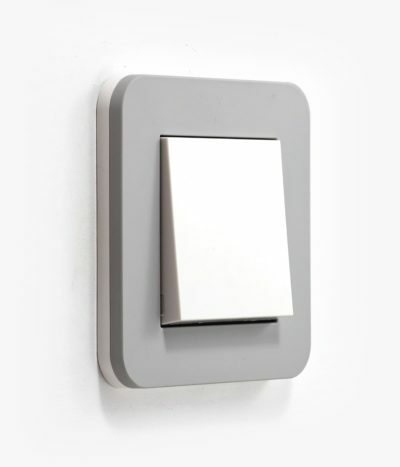 The eight neutral shades are combined with a side and rocker accent of either white or anthracite – even more opportunities for the designer to adapt the E3 switch to the interior colour scheme. 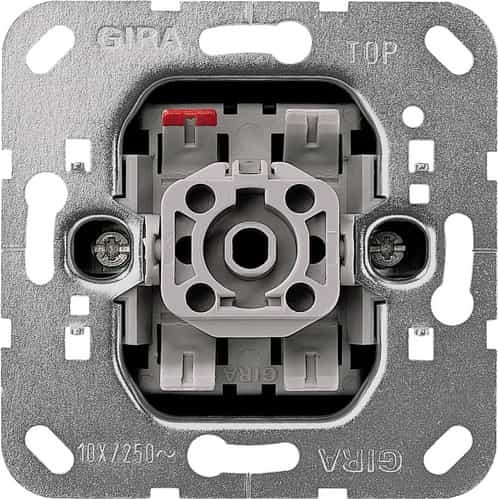 In developing the E3 range, the team at Gira placed as much emphasis on high-tech engineering as on the look and feel of the surfaces. 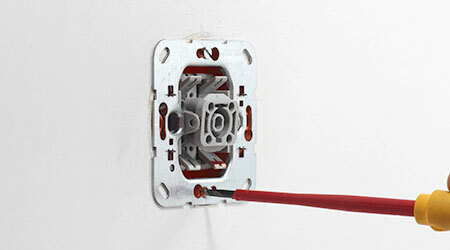 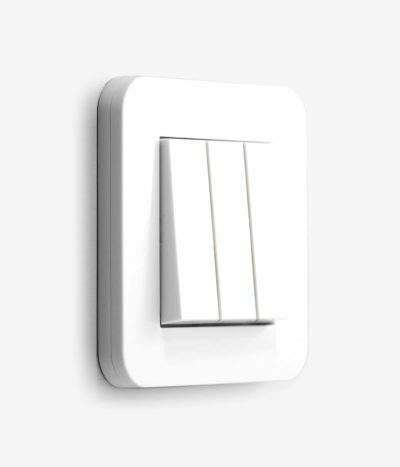 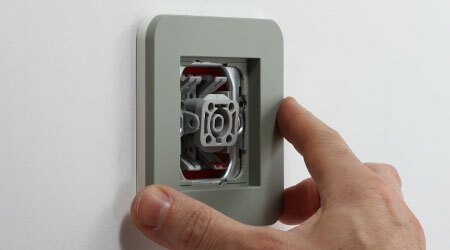 Its modular concept is what makes this switch both a pleasure to touch and a reliable electrical component in your home. 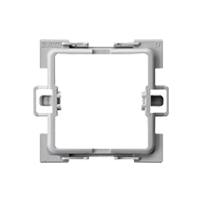 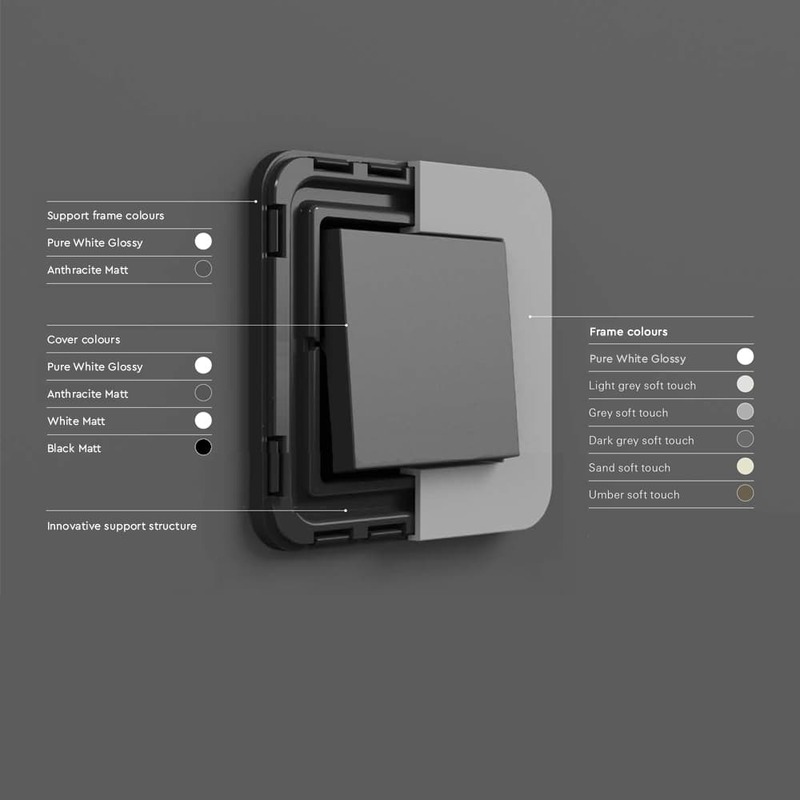 The structure of support frame and cover frame is optimised for high rigidity and efficient use of materials – for reliability and sustainability. 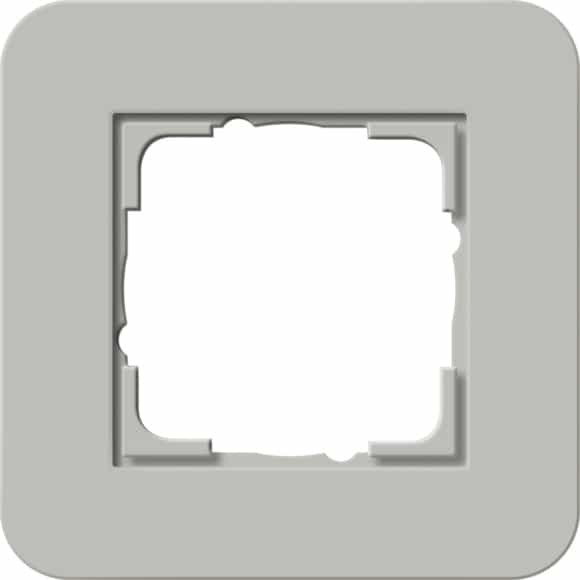 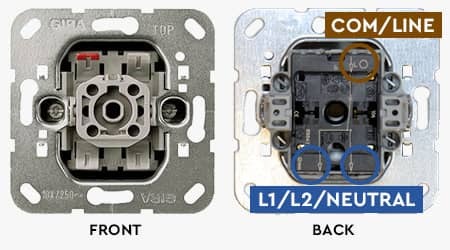 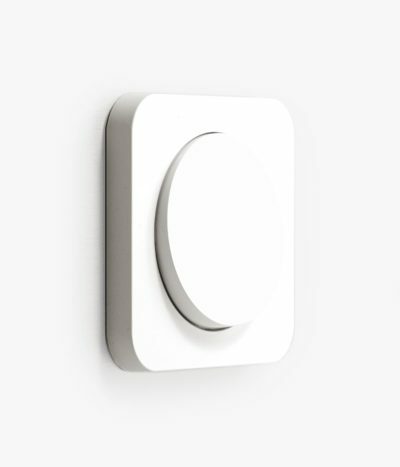 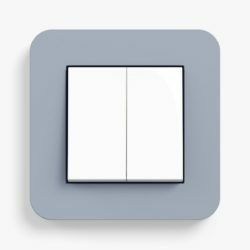 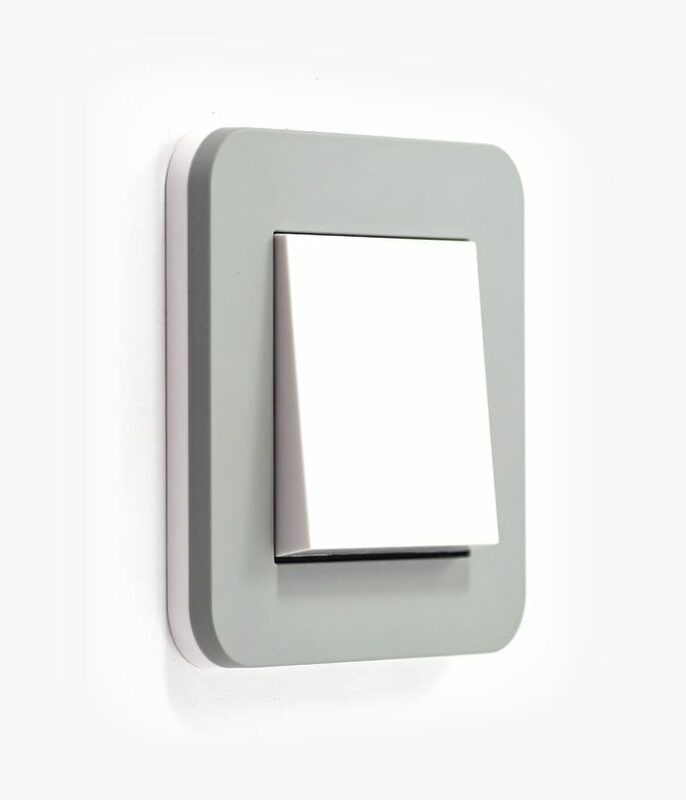 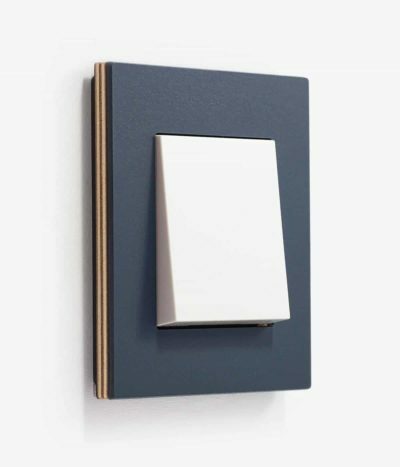 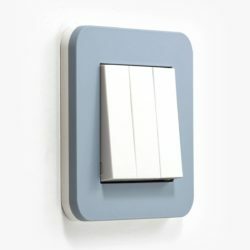 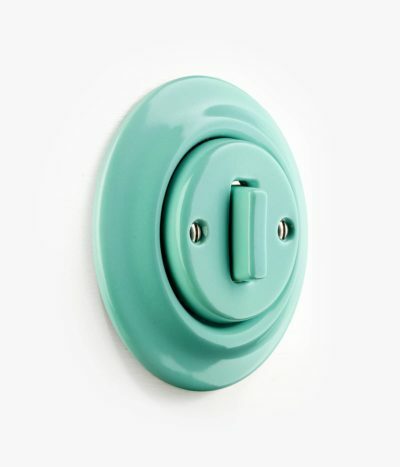 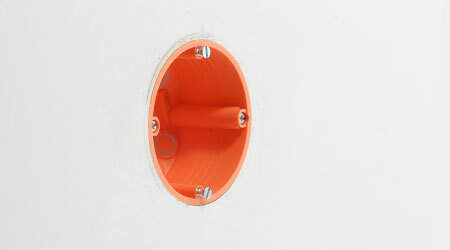 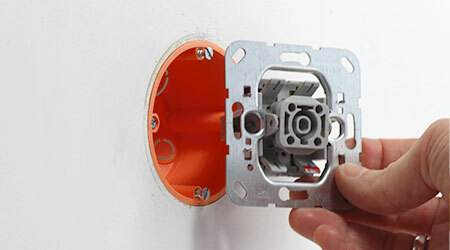 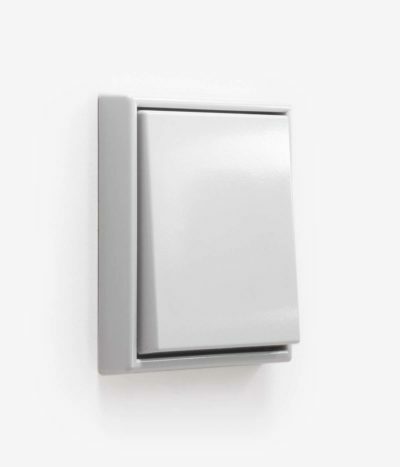 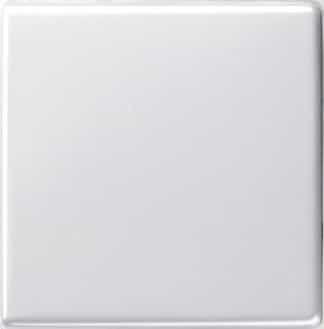 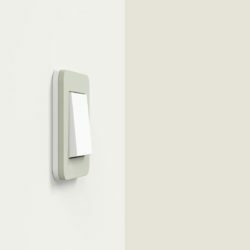 While the support frame is a more traditional low-sheen plastic, the soft touch cover is made of an unusually matt material for light switches, which gives it an almost velvety, warm feel. 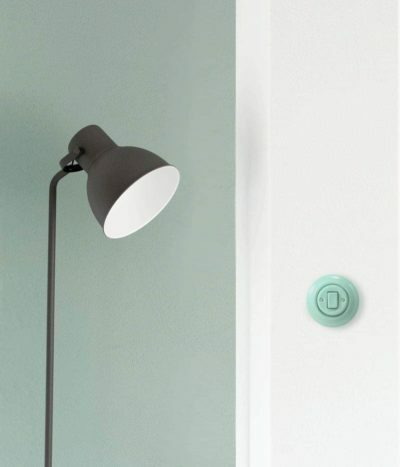 It’s also surprisingly hard-wearing – you won’t see every fingerprint on these pieces! 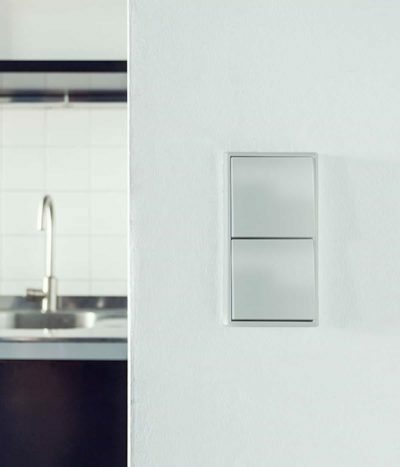 Together with the nearly silent mechanism of the wide rocker, a feature common to all the Gira switches, the overall feel is one of subtlety and softness. 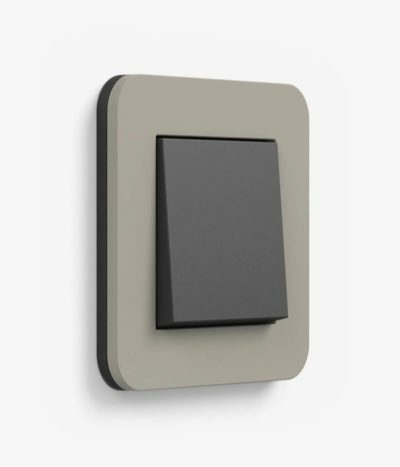 We think The E3 Soft Touch range’s palette makes it an obvious match for an architect-designed new build or glass-box extension (think concrete floors and anthracite-framed windows). 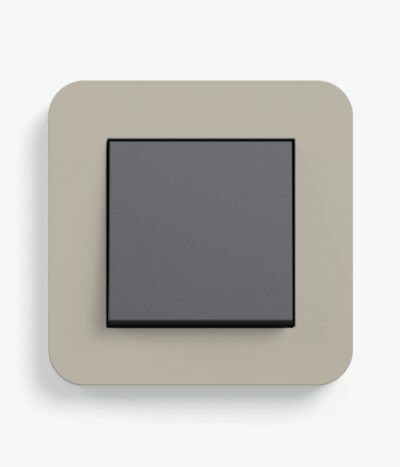 Yet it’s simple enough in profile that the same palette could as easily look good on a mid-centuryesque mustard or teal wall, or even in muted-yet-busy Charleston House-inspired interiors. 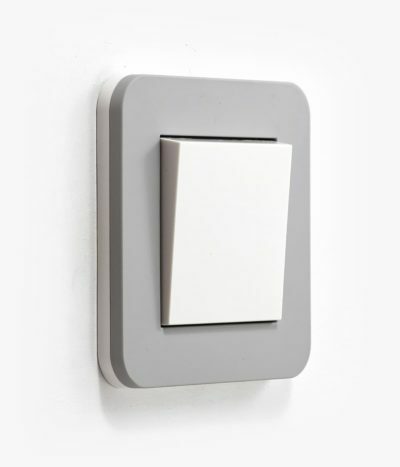 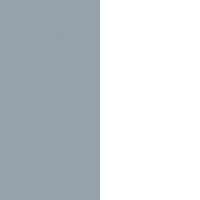 The takeaway is that, whether brought in to sit on matt, flat colour, or to tone in with one shade within a brilliantly busy wallpaper, this is an easygoing, go-to, usable switch that softly speaks volumes.